The 4-Directional Tilt Sensor uses an optical system to provide positional feedback in four directions. This type of sensor is commonly used in many smart phones and digital cameras as a cheaper means to adjust the screen display when the device is rotated. Positional feedback in four directions. 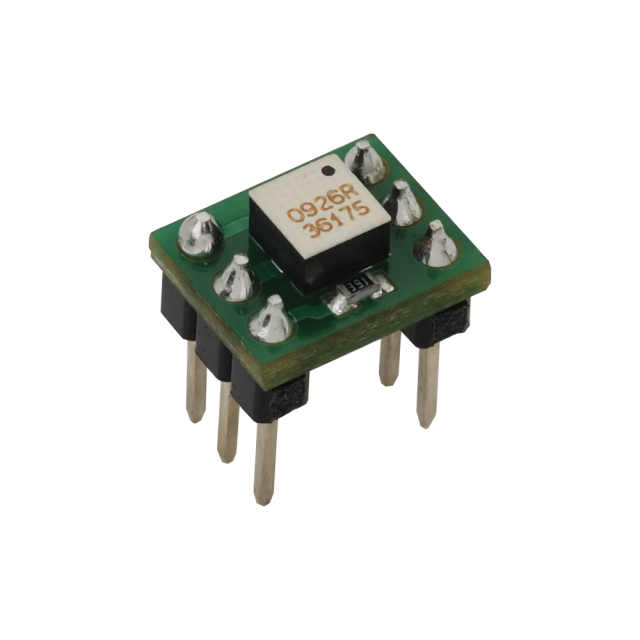 Small 6-pin package for breadboard-friendly applications. Voltage requirements: 3 to 5.5 VDC. Communication: 2-pin high/low output for four sensor states. Dimensions: 0.42 x 0.32 x 0.49 in (1.07 x 0.81 x 1.24 cm). NOTES: Maximum output signal voltage approaches power supply voltage, so use the same voltage level for microcontroller and sensor supply.